Is Mobility the New Norm in EHS Management? A scant decade ago, when dedicated, cloud-based environment, health and safety (EHS) offerings were starting to become mainstream, ‘mobility,’ as it were, was in its comparative infancy. Tablets were still a number of years off, smartphones as we know them today were only beginning to take shape, and Blackberry was the talk of the town. Businesses that adopted enterprise mobile solutions were primarily concerned with benefits associated with the immediacy of communication offered by these devices and the connectivity that went along with them. Employers achieved an unprecedented level of interaction with their employees and the incessant work day—whereby workers were consistently tethered to their devices and rarely out of earshot of the chime of an email notification—became an increasingly pervasive reality. But again, these developments fell mainly within the sphere of communication and one-to-one information exchange. At the time, only forward-thinking theorists and tech analysts might have predicted the potential of mobile technology within a broader context. Fewer still would have predicted how entrenched mobile technology would be across all areas of enterprise performance. One area where, in hindsight, the potential of mobile technology ought to have been realized is in the realm of EHS management. And while mobile EHS capabilities are a far cry from where they will be in, say, two or three years from now, mobility in EHS is increasingly becoming the new norm. As the lead EHS analyst with LNS Research, I’ve had the opportunity to attend a variety of EHS conferences in the past year, many of them presented by EHS software vendors. As I’ve alluded to in recent posts, I’ve identified a number of trends in terms of how vendors are expanding their offerings. While a few come to mind—for instance, offline functionality and enhanced risk management capabilities—one trend stands out from the rest: mobility. EHS software vendors, as if in unison, have been attempting to either introduce or improve mobile EHS capabilities. So what does that mean exactly? Well, let’s take the simplest and most obvious example: incident management. Once upon a time (and today, in an alarming amount of manufacturing environments), frontline workers involved with or exposed to an incident had to remember or capture details associated with the incident, relay the details to an EHS manager or supervisor after the fact (or in some cases record incident data themselves) who would then enter the data manually in a paper form or isolated software (e.g. word processor or spreadsheet). These records would be left to collect dust on desks or in file cabinets until some audit or investigation invoked the necessity to unearth incident data and, indeed, incident trends. All this data—highly valuable from an incident prevention perspective—is basically rendered inert in this approach. Alternatively, mobile incident management solutions enable workers to record incident data on the field, in real time. Some basic incident management solutions enable employees to fill out a few fields in a relatively straightforward form, while capturing incident location data automatically with GPS capabilities and attaching smartphone/tablet-captured photos to a created incident record. All this data is then pulled into a centralized EHS management software or business intelligence (BI) system that can enable EHS managers and executives to trend and analyze incident data virtually immediately in order to mitigate the occurrence of negative events in the future, thereby improving EHS performance and mitigating bottom-line costs. From a technology perspective, this scenario was more of a dream a short three or four years ago. But now, it is a completely reasonable reality. Companies leveraging enterprise EHS software solutions ought to harbor the expectation their vendor can provide (or has near-term plans to provide) elements of a mobile EHS solution. And the expectation of such capabilities is becoming increasingly widespread from an end user perspective. A recent LNS survey of over 300 EHS professionals revealed that while only 5% have a mobile strategy in place, a full 25% have plans to implement such a strategy within one year. This shows that, while adoption to date is not vast, EHS leaders are cluing in that mobile solutions have to be a part of their overall software strategy. So there’s some harmony between end-user expectations and how vendors are approaching their product strategy. Mobility in EHS is the new norm. And yes, some great products are on the market, but we still have a ways to go. I mentioned incident management, but audit management is also another early tool vendors tend to offer, for example. Rarely, if ever, have I seen a vendor attempt to pull together a complete suite of native mobile EHS solutions at one time. The approach, by and large, has been incremental: start with a few key solutions in the near-term, with long-term plans to provide a more robust catalog of EHS applications, all eventually integrated with the larger enterprise application framework. What’s your take on mobile enterprise solutions? 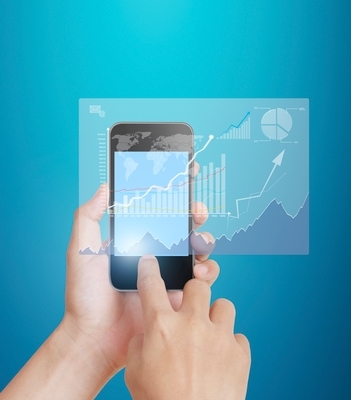 Does your organization use any mobile solutions to manage EHS performance? Let us know in the comments below.